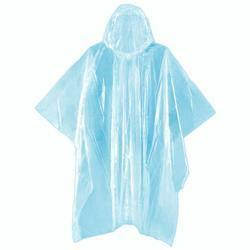 Our range of products include plastic poncho. Disposable Plastic Raincoat Travel Camping Rainwear Adult Emergency Waterproof Hood Poncho This is a Simple and practical raincoat, which is easy to carry and convenient for using and it is free size and suitable for adults. Can be folded to be a very small size, and packed in a small plastic bag which can be kept in a pocket or bag for use anytime. Perfect for expected or unexpected rainy weather, please bring it for emergency when you go out. Looking for Plastic Poncho ?